Africa’s contemporary art scene is characterized by a dynamic list of exceptional artists whose aesthetic innovation and conceptual profundity has paved the way for the next generation. Using their creations to interpret and portray Africa’s socio-economic realities, political challenges, rich traditions, and diverse beauty, these leading and emerging artists continue to influence the evolution of contemporary art in Africa. We profile ten contemporary African artists you should know. Born in Durban, South Africa and currently residing in Johannesburg, Tracey Rose is an established contemporary multimedia artist and outspoken feminist, best known for her bold performances, video installations, and arresting photographic works. 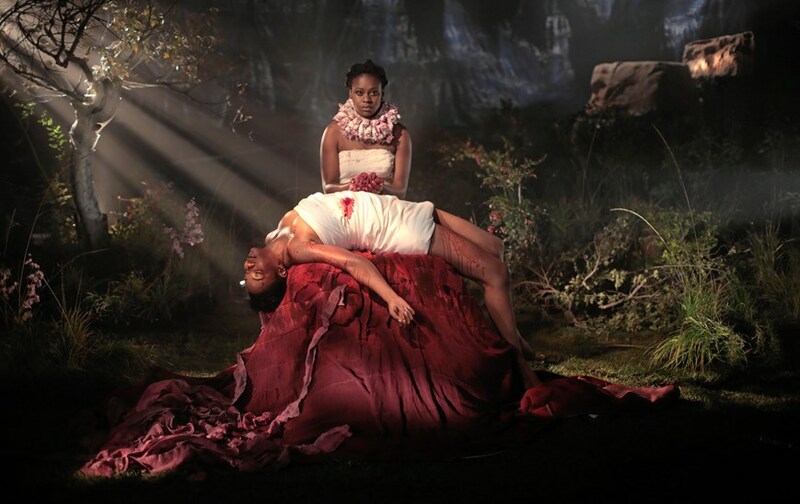 Rose confronts the politics of identity, including sexual, body, racial, and gender issues. Rose’s themes often convey her multicultural ancestry, and the experience of her mixed-race reality in South Africa. She skillfully combines elements of popular culture with sociological theories to evoke powerful depictions of South Africa’s political and social landscape. Rose has held solo exhibitions in South Africa as well as Europe and America, and has participated in a number of international events to include the Venice Biennale. Born in Benin, Meschac Gaba garnered critical acclaim for his traveling exhibition titled Museum of Contemporary African Art, inaugurated in 1997 at Amsterdam’s Rijksmuseum. Created in the form of a nomadic exhibition space, Gaba’s extraordinary project consisted of 12 exhibition rooms set up across various European art institutions over five years in an attempt to place African art in front of international audiences. In 2013, the Tate Modern purchased and showcased Gaba’s entire ‘museum’. His work depicts themes of fashion in the Summer Collection Room and food in the Museum Restaurant, to the excessive overproduction of food in the Draft Room. Employing local craftsmanship and presented with a European flair, Gaba’s works vary from paintings and ceramics to multimedia installations employing materials such as paint, plywood, plaster, stones, and decommissioned bank notes. Exiled from his native Zimbabwe after fearlessly producing an inflammatory image depicting Robert Mugabe, the country’s infamous leader, with horns and swallowed by flames in 2009, Kudzanai Chiurai now lives and works in Johannesburg. Chiurai was the first black recipient of a Bachelor of Fine Arts from the University of Pretoria, and has since become an important figure in the African contemporary art scene. 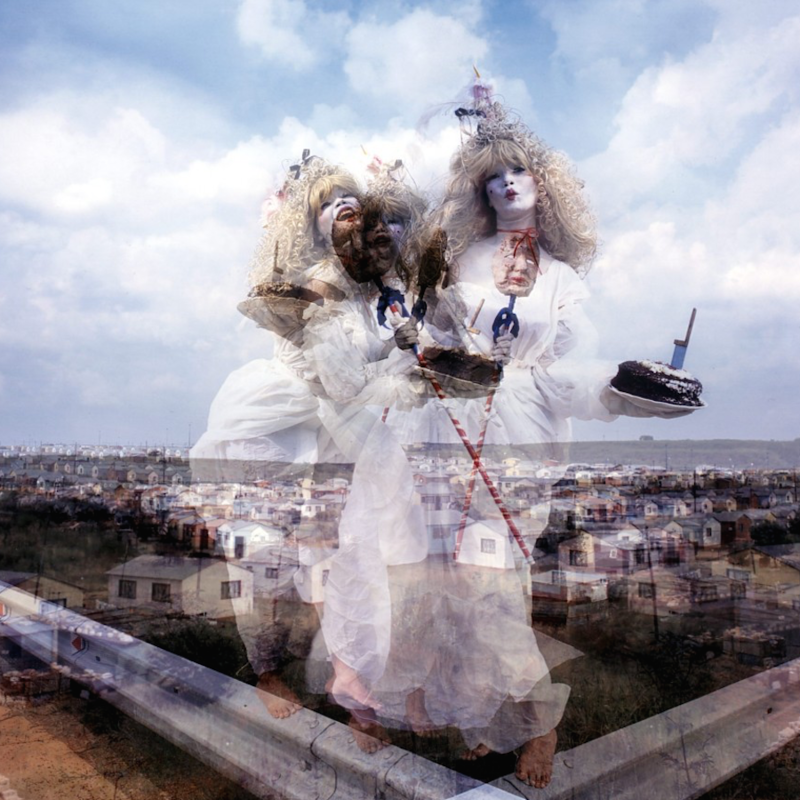 Chiurai uses dramatic multimedia compositions to confront and challenge the most pressing issues in the southern African region, from government corruption to conflict and violence, xenophobia, and displacement. Chiurai’s work is brutally honest, tearing apart the status quo and confronting the state of African governments through a mixture of digital photography, printing, painting, and more recently, film. © Kudzanai Chiurai, Moyo, 2013. Angolan multimedia and performance artist Nástio Mosquito flirts with African stereotypes in Western contexts, working across the realms of music, video, and spoken word. Often portrayed as the central figure in his video works, Mosquito’s creations make powerful political and social statements that are slightly discomforting but stimulating meaningful reflection in the viewer. Past exhibitions include 9 Artists (2013) at the Walker Art Centre in Minneapolis, and Across the Board: Politics of Representation (2012) at Tate Modern in London. Mosquito once declared, “I do represent, if you are willing, the army of the individuals” – meaning that art should not be produced in isolation, but should involve the community at large. 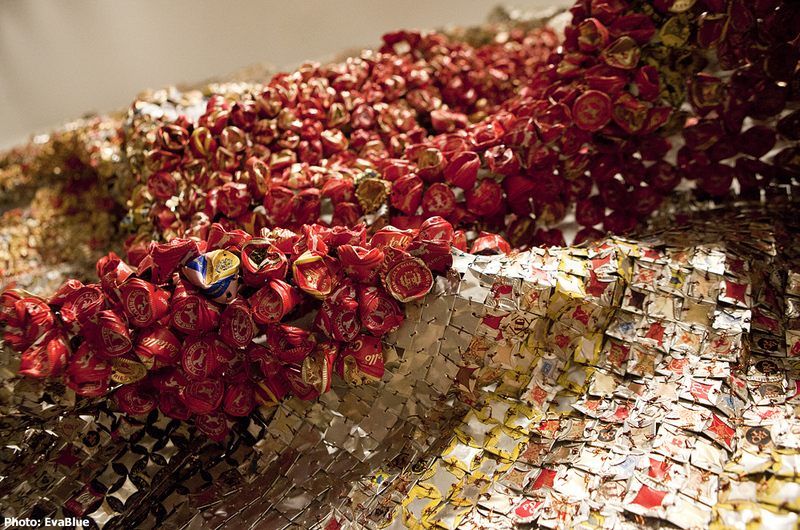 One of Africa’s most influential sculptors, Ghanaian artist El Anatsui is at the forefront of the contemporary art scene, having received considerable international acclaim for his unusual and highly-identifiable sculptural works. A professor in the Sculpture Department at the University of Nigeria and a prolific sculptor himself, Anatsui’s preferred media are clay and wood, which he uses to create objects expressing various social, political, and historical concerns. 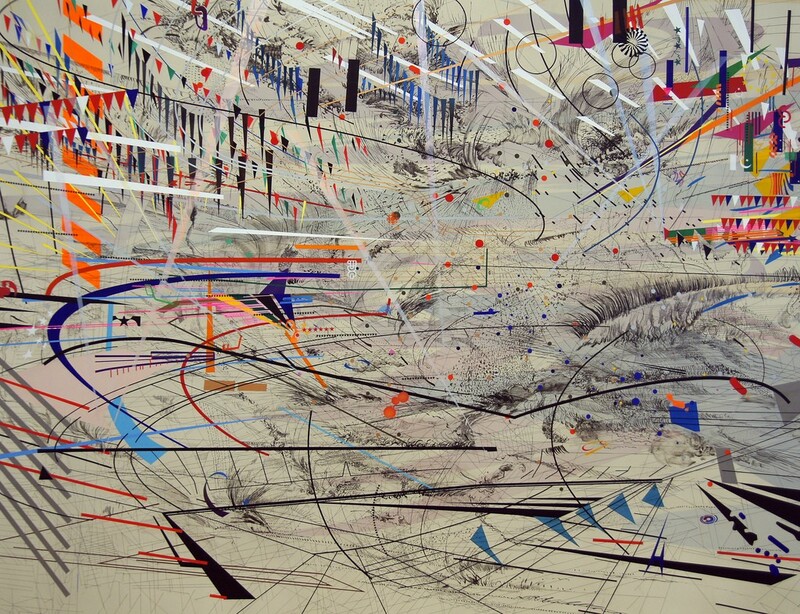 In his later works he’s turned to installation art and sewing processes. Using unconventional materials such as chainsaws and power tools, he has reshaped and repurposed everything from railway sleepers to driftwood and aluminum bottle tops. Widely considered the godfather of African modernism, Ibrahim El Salahi has created over five decades of visionary artworks in his own brand of Surrealism split between Arab and African origins. A former diplomat and undersecretary of the Sudanese Ministry of Culture in the 1970s, El Salahi was imprisoned for six months without charge upon being accused of anti-government activities. 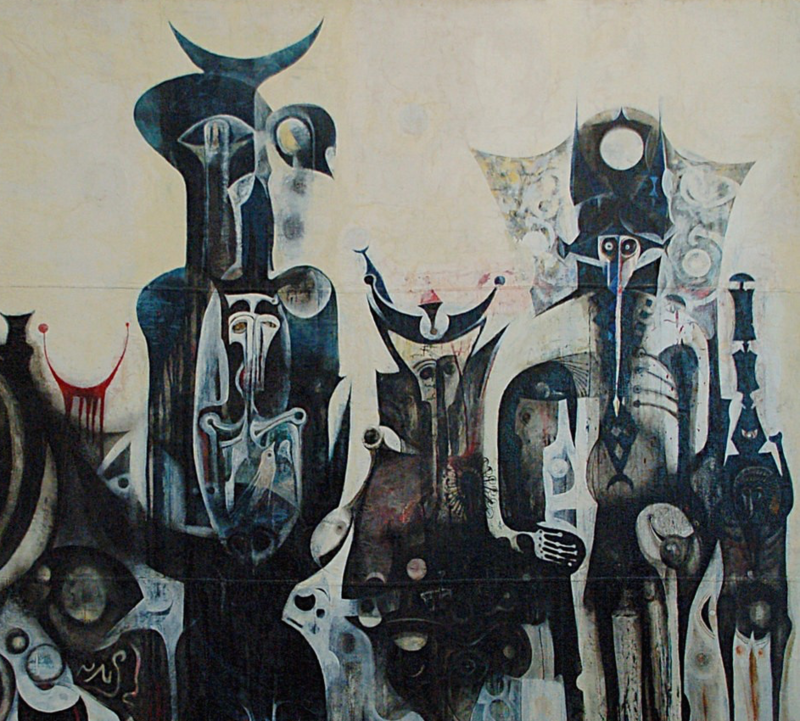 An articulate and avuncular figure, El Salahi has developed his own unique art history, a pioneer on many art fronts; he was one of the first artists to elaborate Arabic calligraphy in his paintings, and the first African artist to obtain a Tate Modern retrospective. Elementary forms and lines dominated his early work, which has, over the years, taken a meditative and abstract turn with a strong emphasis on lines, black and white. Nigerian-born Sokari Douglas Camp belongs to the first generation of African women artists to have attracted the attention of the international market. Originally from a large Kalabari town in the Niger Delta, Douglas Camp’s work is largely inspired by Kalabari culture and traditions. Employing modern sculptural techniques with the predominant use of steel, Douglas Camp creates large, semi-abstract figurative works adorned with masks and ritual clothing to depict her relationship to Nigeria despite having emigrated to London many years ago. Douglas Camp has had numerous solo and group shows all over the world, with works in the permanent collections of the Smithsonian Institution in Washington DC, and the British Museum in London. A prominent contemporary art figure in Mali, Abdoulaye Konaté’s works are a striking combination of installations and paintings. After pursuing a degree at the National Art Institute of Bamako, Konaté completed his studies in Cuba. Most of Konaté’s large-scale works are in the textile arts – an inexpensive and readily-available material in Mali. Treating textiles as a limitless palette, Konaté dyes, cuts, sews, and embroideries scraps of cotton and traditional bazin fabric to produce his signature monumental tapestries. Through his creative works, Konaté conveys his thoughts on the political, social, and environmental spheres and cultural traditions in contemporary Mali. His major works have focused on the political tensions surrounding the Sahel region, and, since the start of the millennium, on the devastating impact of AIDS on Malian society. 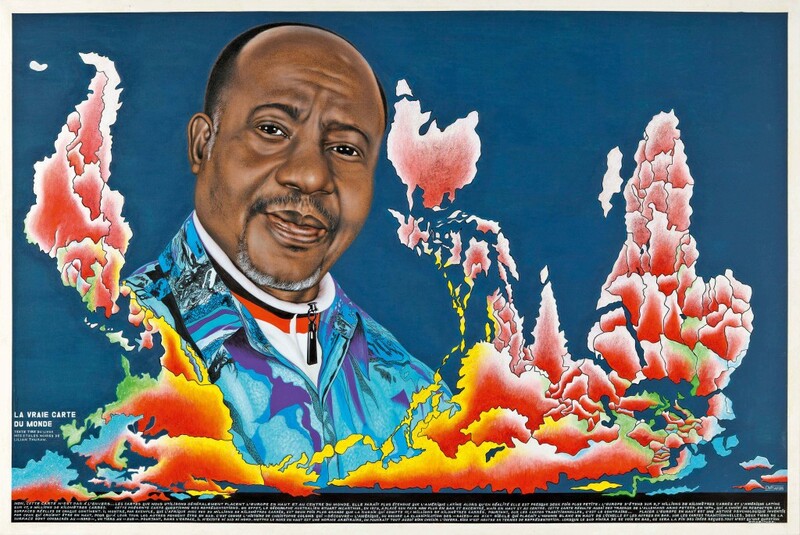 A leading contemporary African painter, Chéri Samba’s paintings reveal the artist’s perception of daily life in the Democratic Republic of Congo. In his later works, Samba is at the forefront of his own paintings. Samba began his career working as a billboard painter and comic strip artist, gradually moved towards painting on sacking fabric as canvas was too expensive. Samba’s paintings became characteristically known for their ‘word bubbles’, which allowed the artist to incorporate written commentary in his works – now recognizable as the ‘Samba signature’. 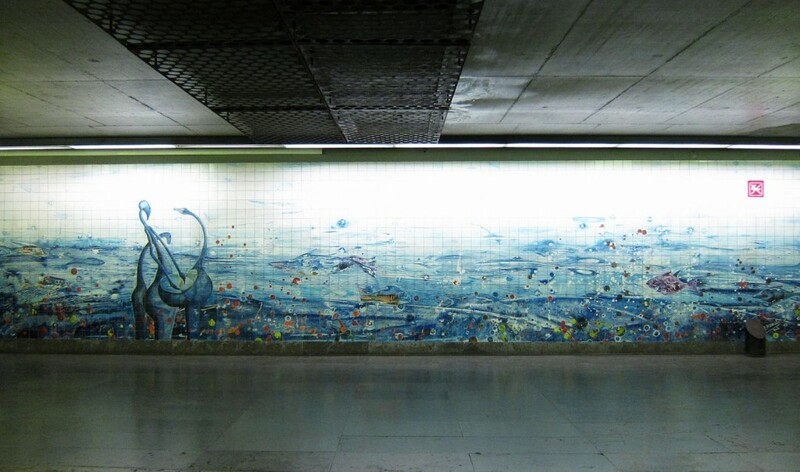 The artist’s works encourage viewers to contemplate and interact with his paintings.